A Fantastic Find | Bookworms | Kids VT - small people, big ideas! 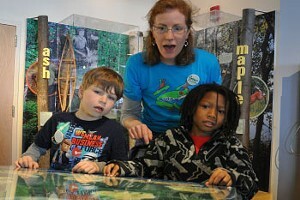 In 2006, Erin Rounds, a teacher at Union Street School in Springfield, took her third grade class to Dinosaur Footprints in Holyoke, Mass., to check out the fossilized tracks left by prehistoric creatures 190 million years ago. 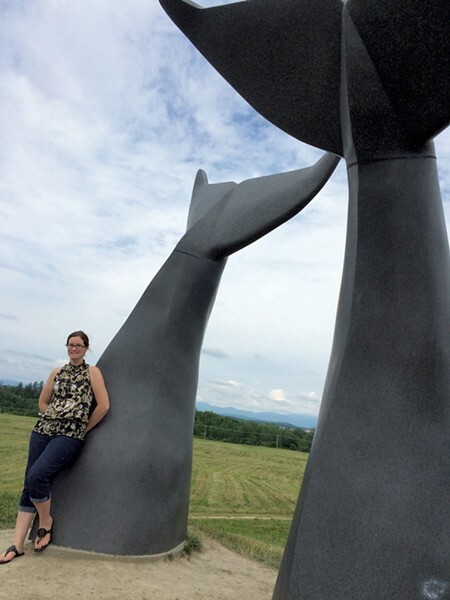 "Vermont doesn't have anything this cool," some of her students complained. Searching for an archaeological find in the Green Mountain State to satisfy her class, Rounds discovered Charlotte (pronounced like the girl's name), the prehistoric beluga whale skeleton found in a farmer's field in the Vermont town of Charlotte in the 19th century. This ancient creature, she told her students, "would make a really good story someday." It turns out Rounds would be the one to write it. 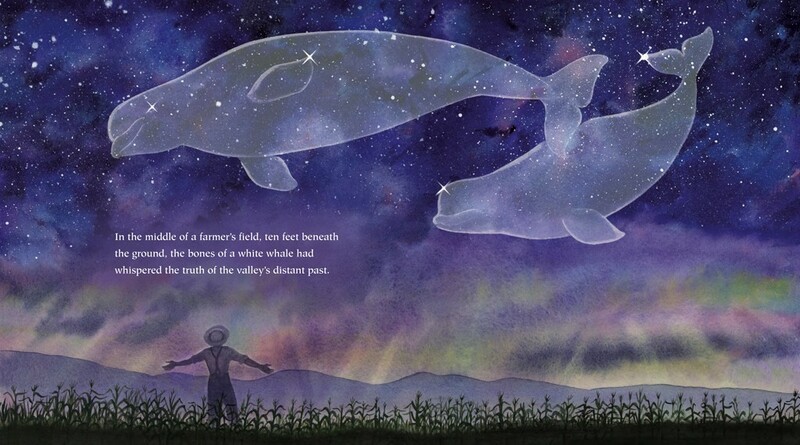 This month, Tilbury House Publishers releases Charlotte's Bones: The Beluga Whale in a Farmer's Field, her nonfiction picture book with illustrations by Alison Carver of Maine. In 1849, railroad builders unearthed bones they mistakenly believed were from a horse or a cow beneath 10 feet of blue clay. By chance, local doctor John G. Thorp saw the bones and realized they didn't belong to a farm animal or any familiar wildlife. He contacted assistant state geologist Zadock Thompson, who directed an excavation. Thompson consulted Louis Agassiz, a zoology professor at Harvard University, who determined the fossilized bones — estimated to be around 11.5 million years old — were the remains of a beluga whale. The discovery of Charlotte was a key piece of evidence that the farmer's field, and a large swath of Vermont, was once submerged beneath an ancient sea. In 1993, students from Charlotte Central School traveled to Montpelier to meet with then-Gov. Howard Dean, petitioning him to make the whale Vermont's official state fossil. In June of that year, Dean signed a bill to that effect into law at a ceremony at the school. Today, visitors to the Perkins Geology Museum at the University of Vermont in Burlington can check out Charlotte's wired-together skeleton in a glass case. Rounds, the mom of a first grader and a third grader, spoke to Kids VT about her first book from her home in Springfield. Kids VT: One of the things that's fascinating about your book is the enormous span of time it covers — from prehistory to contemporary Vermont. Erin Rounds: History is what I tend to write about because I talk about this a lot in the classroom. It's an important conversation for our kids to have. Fossils were created from the same stuff as oil, and it takes a really long time to make them. KVT: There's a clear environmental message in Charlotte's Bones. Near the end, you write, "The Earth is both strong and fragile." ER: Yes! We need to learn from history. We have to take care of things. I'm interested in Vermont stories that I think are important, but I'm also drawn to scientific stories. I do a lot in my classroom with energy, fossil fuels and renewable energy. KVT: You have a second book, Where's Winter?, coming out in October. Can you tell us about it? ER: Three winters ago, when we had no snow, I pulled into my driveway, and just saw leaves, pine needles, squirrels running all over the woods. [The evidence of climate change] really hit me, and I ran in the house and grabbed a pencil and paper and wrote until the story all came out. KVT: What advice would you give to a young child who wants to be a writer? ER: I encourage kids to write about what they enjoy and what they're experiencing. Try out new words. In second grade, I wrote my first story with a friend about pencils. Pencils were the characters, and I drew illustrations, too. Ever since third grade, I've wanted to be a teacher and write. I feel — Success! Author Erin Rounds and illustrator Alison Carver celebrate the release of their joint debut with a book launch party sponsored by Shelburne's Flying Pig Bookstore on Tuesday, Aug. 7, from noon to 4 p.m., at Charlotte Beach (1371 Lake Rd., Charlotte). Rounds will also read from her book on Friday, Aug. 10, 10 a.m., at the Springfield Town Library; Saturday, Aug. 11, 11 a.m., at Phoenix Books in Rutland; and Sunday, Sept. 16, noon-2 p.m., at Phoenix Books Misty Valley in Chester. Another noteworthy release in August is Hey, Hey, Hay! 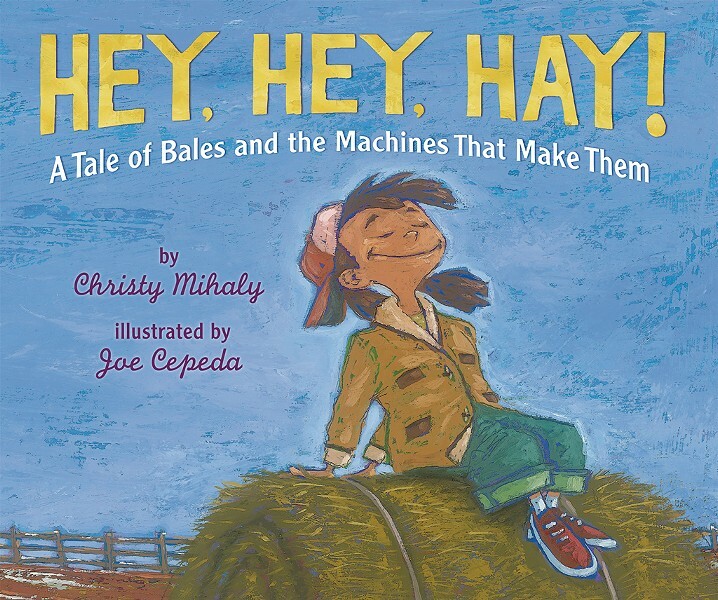 A Tale of Bales and the Machines That Make Them by Christy Mihaly of East Calais, illustrated by Joe Cepeda. This picture book features a farming mother-daughter duo and includes a kid-friendly recipe for switchel, a traditional thirst quencher for parched haymakers. Mihaly will read and sign books, and offer hands-on hay activities for kids on Sunday, Aug. 26, 11:30 a.m.-12:30 p.m., at Shelburne Farms.